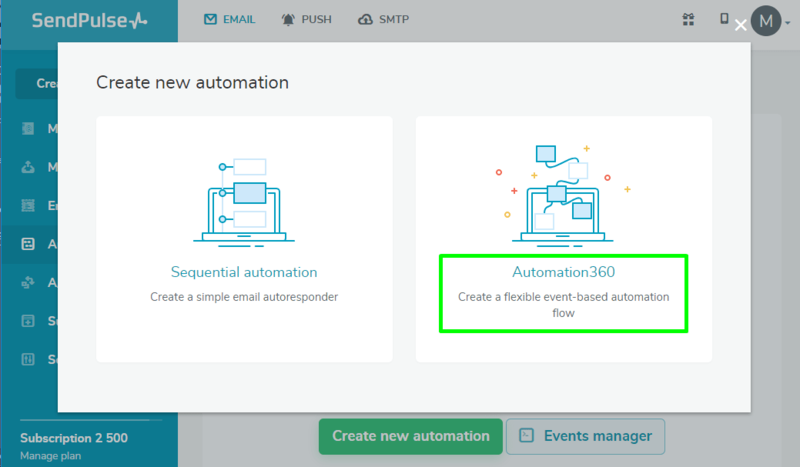 In Automation360 users can send their clients automated SMS messages with order status. First of all make sure that clients' phone numbers on your mailing lists are listed correctly, including the country and area codes. If you will be using personalization with the SMS service, pay attention to the spelling and proper capitalization in names. Also, it is recommended to check whether or not recipients' mobile operators require a registered sender name and register one if necessary. Let's go through the setup step by step. 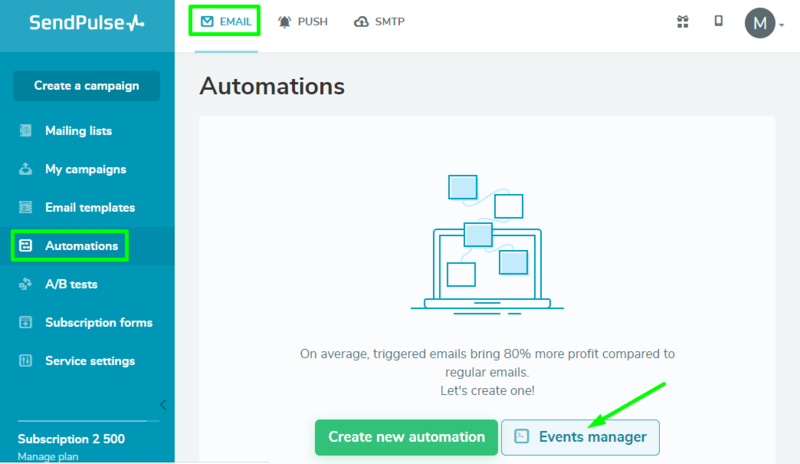 Go to Email - Automations menu and open the Events Manager. Now add a new event. This way you will open the menu offering to set up variables for the event. 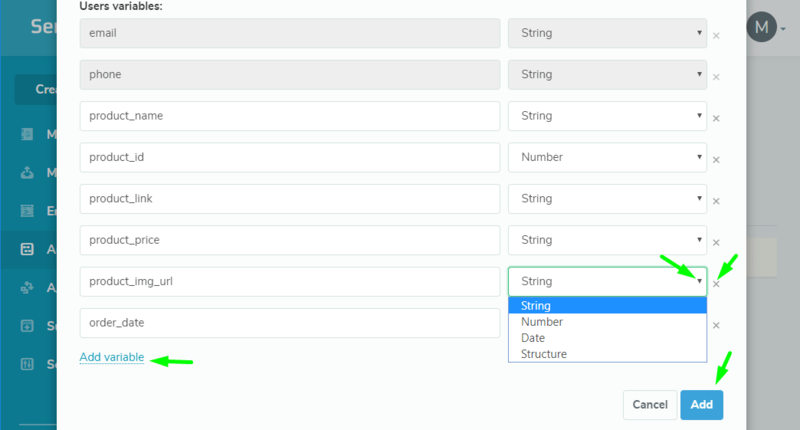 Users can delete or add variables, and select their types: string, number, date or structure. Make sure you specify correct variable types — «string» for image links and «number» for product price. 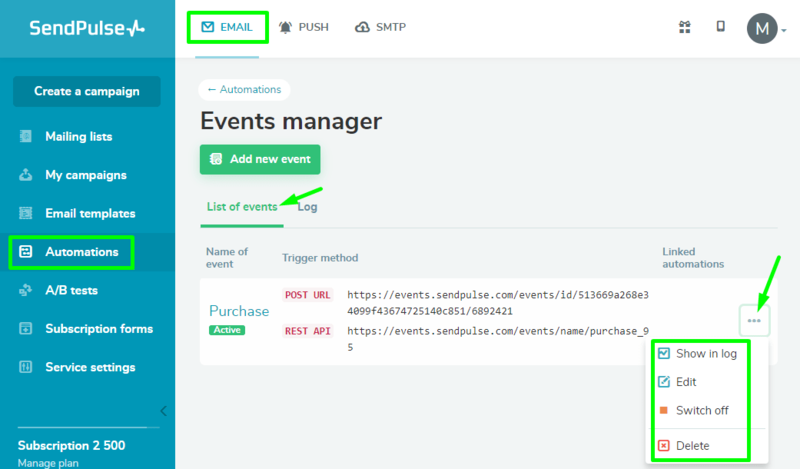 On the next step the service will generate a special URL your system should call to signal an event. 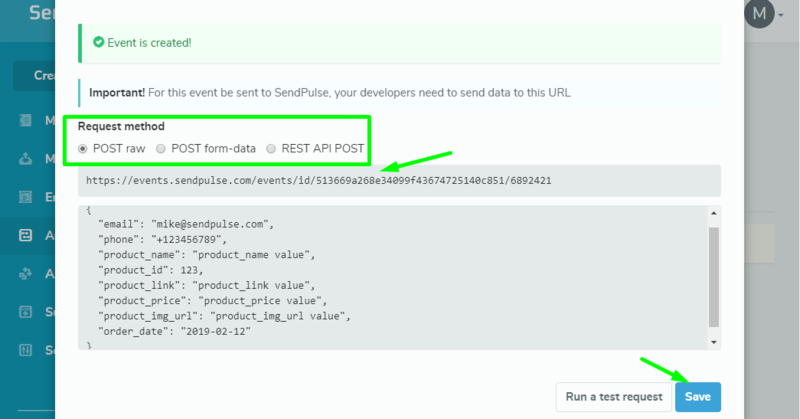 Our system will be tracking and processing all requests sent to the URL. Be sure to select a request method supported by your system. 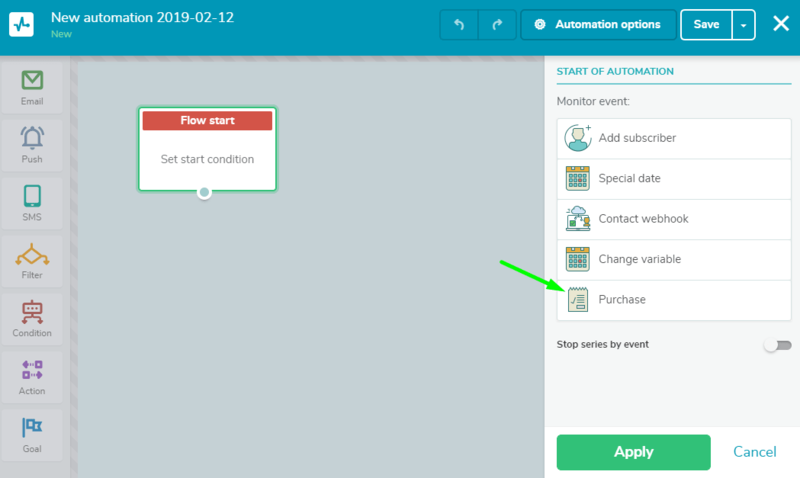 Select the Purchase event for the flow start (this should be the Purchase event you created on earlier steps). 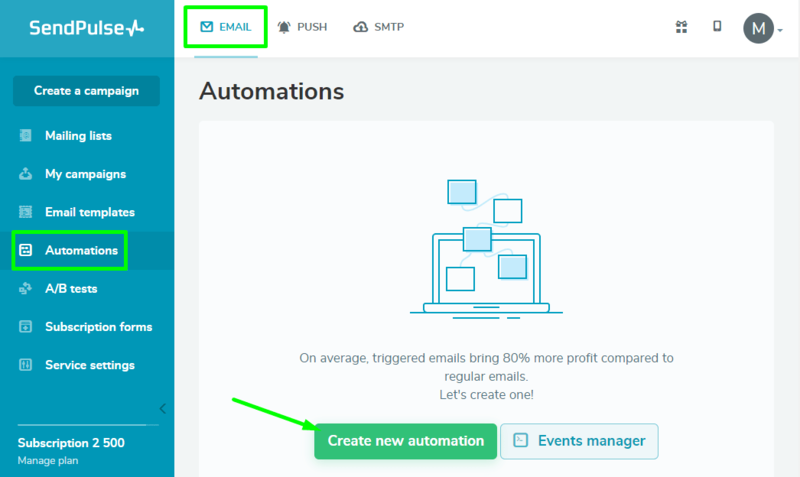 Specify a mailing list to use its personalization variables. 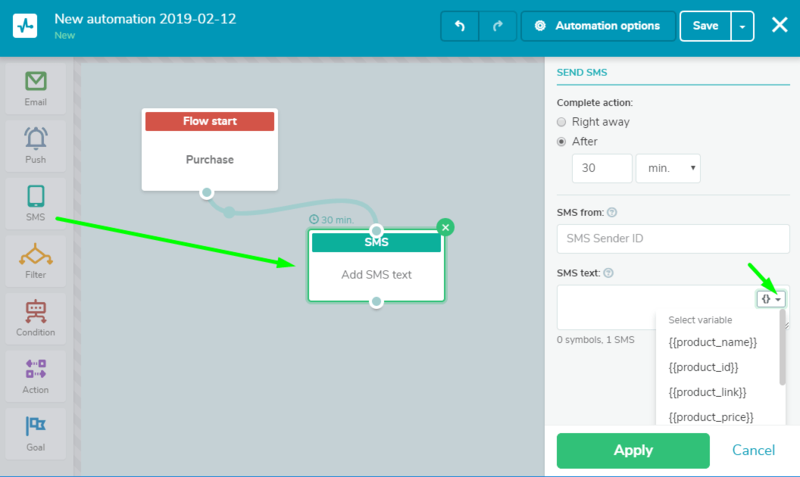 Add an SMS block to the flow — here users can specify how soon after the event the sms will be sent, add sender name and the contents of the message. 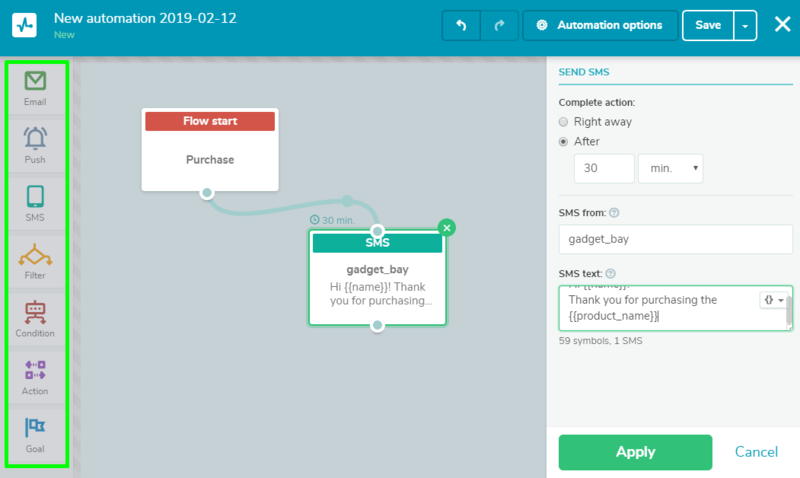 Now you have an automation that will send SMS to customers who submit an order in your system after your system sends a request to the provided URL. Feel free to add other elements to the flow if necessary. 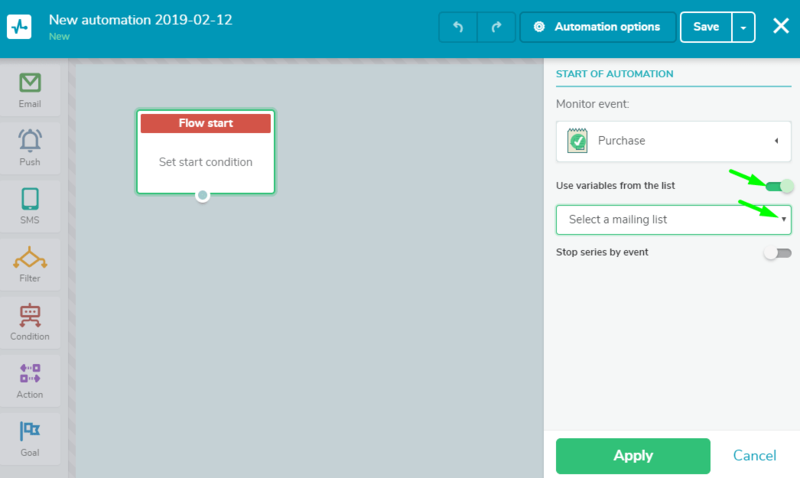 Rate this article about "How to send SMS about the order status in Automation360"